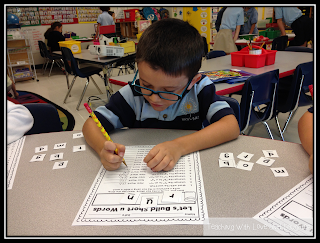 I love to teach grammar and create fun activities that engage and challenge my students. 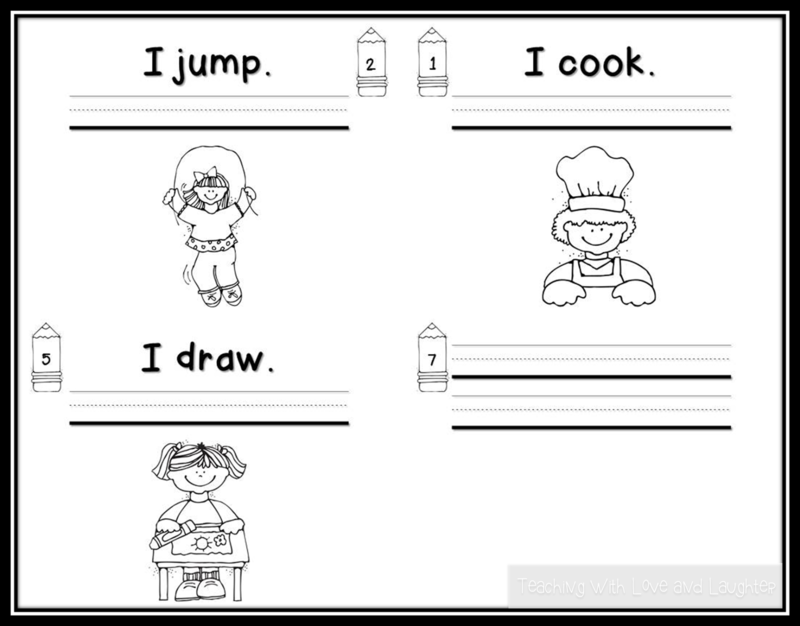 I don't often find grammar games suitable for kindergartners and first graders at my local teaching store, so I usually make my own. When I teach grammar, I usually formally introduce the skill on Monday and then my students spend the week practicing the skill at the Grammar Station. 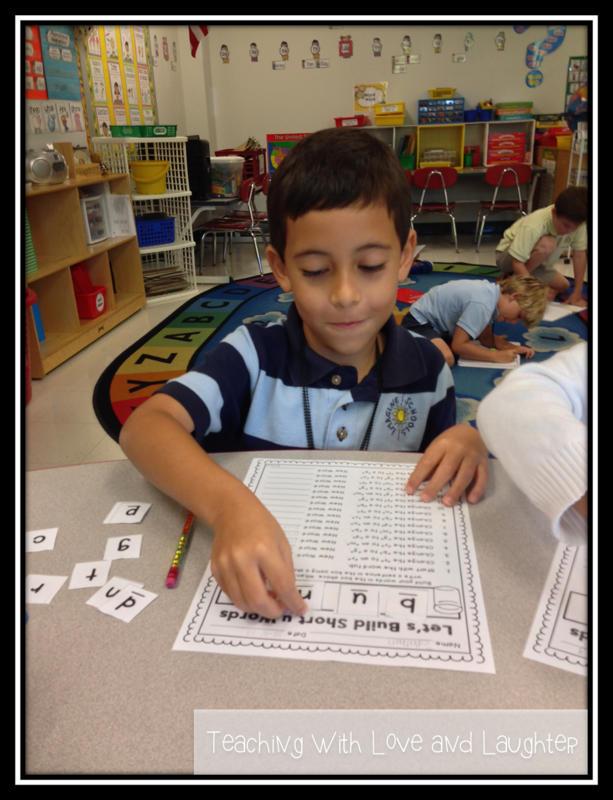 I also try and find numerous opportunities to point out proper grammar when we are reading, writing, and speaking. 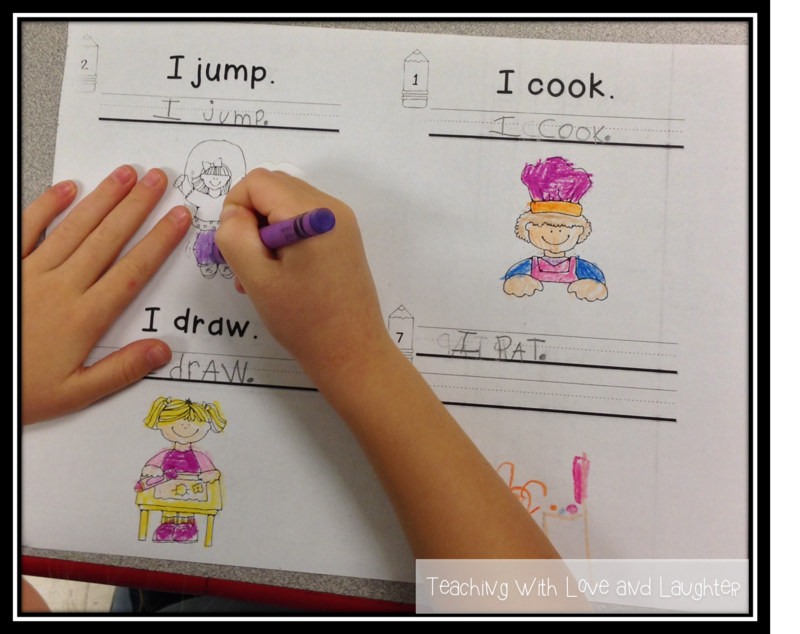 When I set out to create an activity for my students, I usually try and create it for the entire year. That's why it takes me so.very.long to finish many of my products. Plus, I like to try them out with my students before I put them in my store. That way, they find all my mistakes! LOL! I started making this product over a month ago! 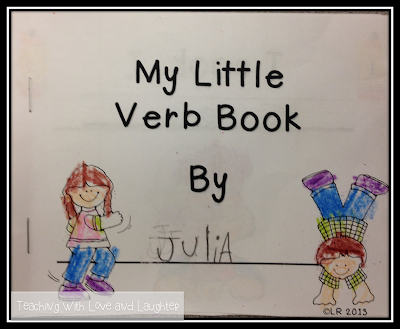 My newest creation is called My Little Grammar Books. There are 122 books that cover 19 different grammar skills. 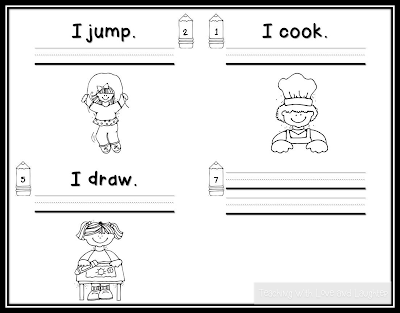 For each of the 19 different skills, I made 3-4 different books, so I can use a book to help introduce the skill during my whole group lesson on Monday, and then I can put one at my Grammar Station for the children to work on individually or cooperatively with their station group. I can use the third book as an assessment, as homework, or as a spiral review later on. I feel it is very important to differentiate my students' learning as much as possible, so for each of the 19 skills, I made books with lots of support and books with less support. I even made some with a little support. So, to sum it up, each skill actually has 6-9 books that will help your students become grammar experts! 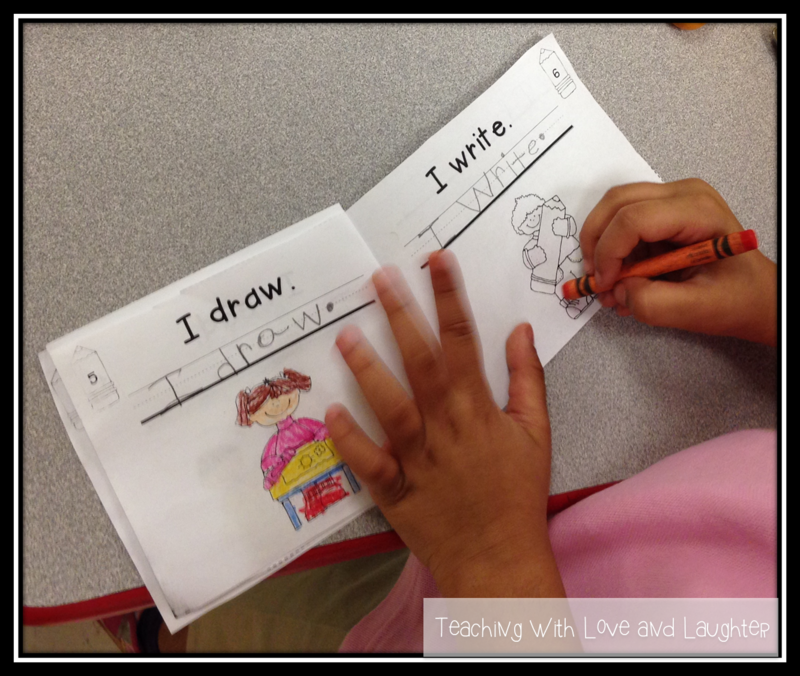 Here are some pictures I took when my kindergartners completed a low level verb book during a whole group lesson. This book really helped them understand the concept of verbs and they loved reading their books out loud. Would you like to try this book with your students? Well, you can! All you have to do is click here and download the preview and it's yours! I hope you find it useful. Here's more great news! In case you haven't heard, Teachers Pay Teachers' Facebook page reached 100k likes and they are celebrating by giving all shoppers 10% off of all purchases if you use this code at checkout: FB100K. To help TpT celebrate this incredible milestone, I have put my store on sale! 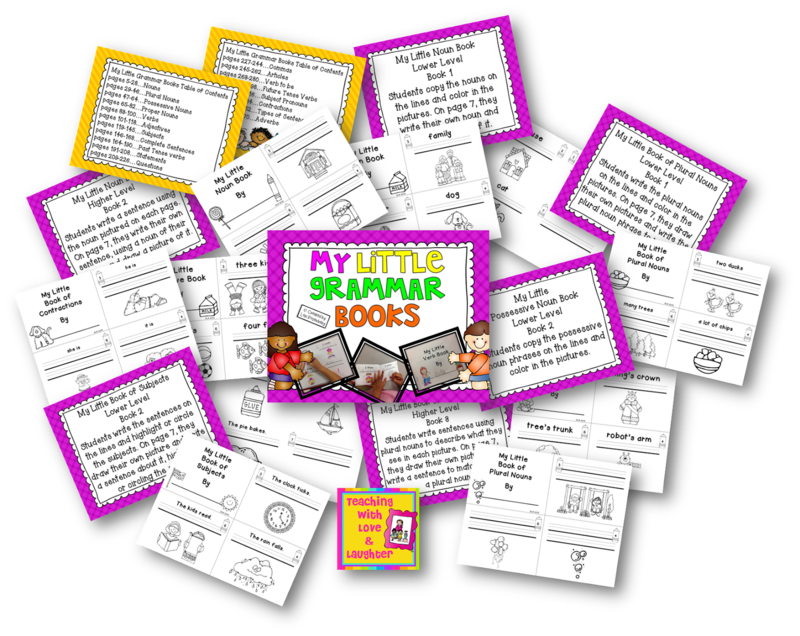 You can purchase My Little Grammar Books at a huge savings! While you're shopping, you may want to check out Let's Build Words. This has been so much fun for my students! One more thing! 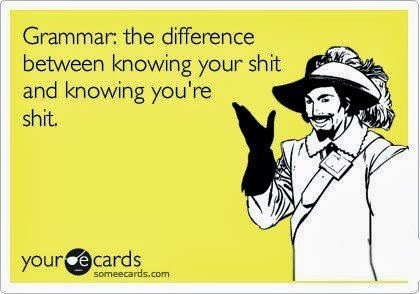 Since this post is mostly about grammar, I saw this and couldn't resist posting it. I hope I don't offend anyone because there is a curse word. I was going to cover it up, but it just didn't have the same impact! I'm using your "let's build it" in our centers next week! And that e-card is hilarious!!! Ha! That e-card is hysterical! Brilliant quality work Lori. 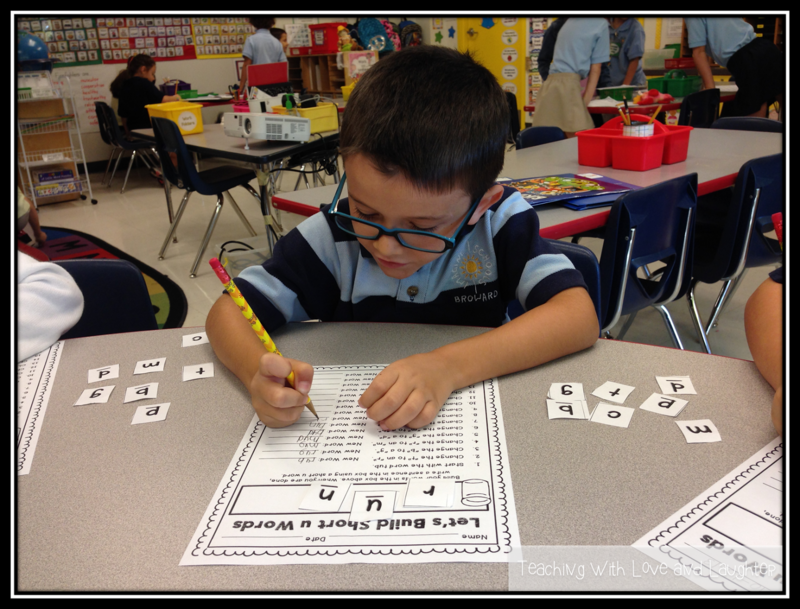 Can't wait to try this with some of my little Learners. All the best with the TPT sale. LOL! Hilarious! Heading to TPT right now! YOU are brilliant!!!!!!!!!! Thank you for this idea! These kind comments are making me smile! Thanks so much for stopping by everyone! 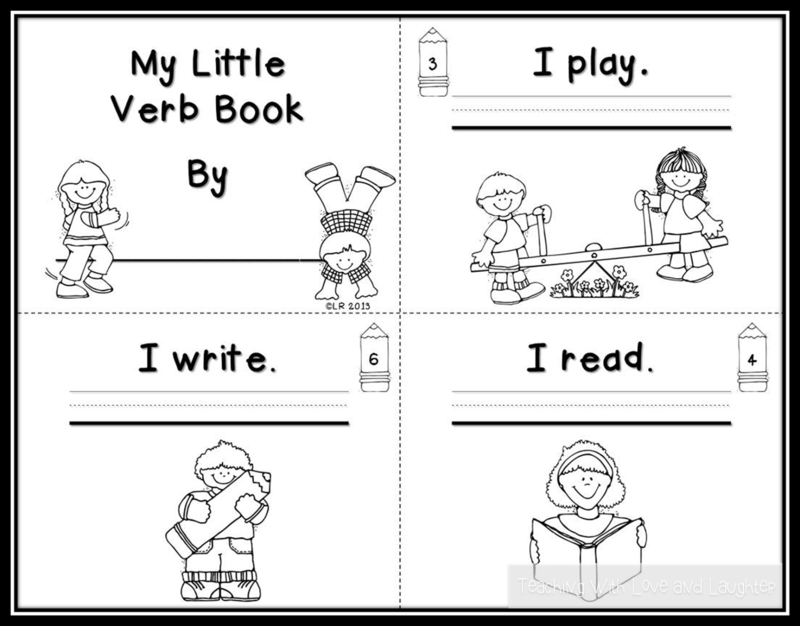 After posting here I am off to purchase the grammar books and the building word pack! I absolutely LOVE your products! Thanks for the LOL too! A Whole Lot of Random Info!